How to connect an i2c 16×2 LCD display to an Arduino UNO tutorial. The i2c address of the lcd display is determined by the controller chip used on the i2c backpack. If a PCF8574 is used on the backpack then it will usually have a default address of 0x27 and if the PCF8574A is used then the default address will be 0x3F. The lcd display is not showing anything? 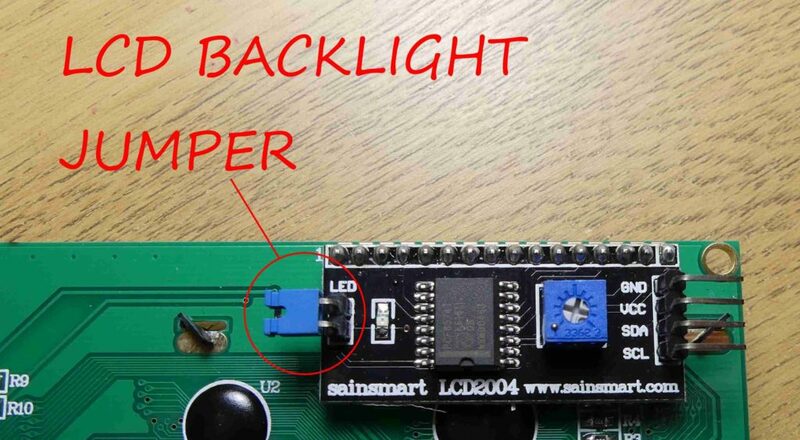 Try changing the contrast potentiometer on the back of the display. The lcd display doesn’t show anything or just random characters? Some Arduino clones use the CH340 driver, you will need to download and install it. The scanner sketch can’t find the i2c address? Some Arduino models use different pins for the I2C connections. If you are not using an UNO then check which pins you need to use. The lcd backlight doesn’t turn on? Check the jumper on the side of the backpack normally labelled led. Check that the newliquidcrystal library from F Malpartida has been installed. Check that the library path is correct. If it is not finding the correct library NewliquidCrystal then that is the reason for the error. This might be due to a clash with the default LiquidCrystal library. In this case a possible solution is to delete the default LiquidCrystal library. This entry was posted in Arduino on October 24, 2016 by techydiy.